To make sure I am the right photographer for you it is surely important to meet me in person or knowing each other a little better by Skype-video calling. Anyway, reading some reviews my former clients wrote about me on my Facebook Page Selene Pozzer Photographer or in other websites can surely give you some hints! Some reviews might have been translated into English – clicking on the couple’s photo, you will be linked to the original source of the review. This page will always be updated to give you the most recent and precise opinions on my way of working. My husband actually found Selene two years ago when we were going on a trip to Italy (we are from Boston). In secret, he set up a time and place for Selene to meet us where he was planning to propose to me. Selene captured the moment and then spent another two hours running around a rainy Venice with us getting some of my favorite pictures to date. It was magical. Fast forward a bit, and my husband and I were planning our wedding in the states. We jokingly said how we wish Selene could be there to capture our day but thought it would be out of the question. 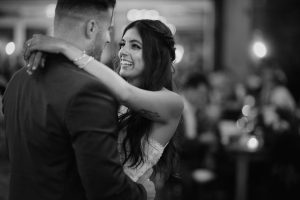 Selene actually reached out to us asking if we would be interested in her photographing our wedding and we couldn’t believe it! Her pricing was extremely fair and her work is unbelievable. She was so quick to get us some sample pictures each time and was able to get us all of the pictures she took within a month. Selene made us feel so comfortable and I can’t imagine working with anyone else! She captures all of the moments and angles that no one else does. I would (and have!) Recommend her to anyone for any occasion! From the very first moment we saw her work, we knew that Selene was right the type of photographer we were looking for. 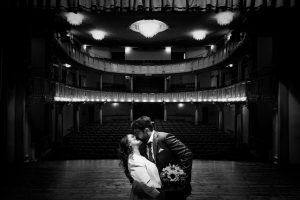 She was extremely friendly from the very first moment, she even came to Andalusia – where we have been living for the past four years – to know us and have an engagement session! Being photographed by her was an amazing experience, she is really, really talented. Super recommended! 5 Stars aren’t enough to describe how happy we are with our wedding pictures! They are art and magic that mixed with the passion this amazing photographer has in her blood made a result that left everyone speechless! I would pay again any sum to have her again at our wedding, she was undoubtedly the best investment we made: a real relief for any future bride who is undertaking all the commitments for her big day! From the engagement session to the wedding album, Selene follows you with care and always puts you at ease. 20 stars rating! These few words are just reducing compared to your work. You are amazing! We got on well with Selene even before meeting her. I literally fell in love with her photos simply looking at her website, and I immediately convinced my husband to go and meet her in her studio – when we fell in love with her cat, too! From the very first moment, we understood that she was going to be more like a friend to us rather than a simple vendor. We had a proof of that during our engagement shoot in Forte Marghera! The wedding day she was awesome: the guests (especially my dad) wanted her to sit with us at lunch, she made us laugh and helped us not going crazy for the anxiety. What else? I think her photos express her professionalism, her commitment, and her passion… Thank you for everything! Selene is not a simple photographer. She’s an artist! Her photos are full of emotions, plus originality and style… That’s exactly what we were looking for. Spontaneity, professionalism, and passion for her work. Our best choice. Amazing job, Selene! We met Selene one year ago, as we started looking for a wedding photographer, and it was love at first sight. Selene is magic, we were enchanted by her sweetness and her ability to make everyone feel at ease around her. Not only we found an amazing photographer – we also met a wonderful person. The best photographer around! She’s the best photographer a couple can ask for on their wedding day: she can see everything without you seeing her. An incredible professional who gave us a wonderful memory of our wedding! Every single photo comes from her experience, but most of all from her sensitivity. If you’re looking for someone who can tell your wedding in the most poetical way without weird poses, she’s the right one for you! Selene is an incredible photographer who really puts in the effort to capture that magic shot. She replies to emails straight away and has a very sweet personality and you instantly feel comfortable around her. We had an engagement shoot with her and she went above and beyond any of our expectations. We are absolutely thrilled with the photographs and we will treasure them forever. Thank you so much! There are so many wonderful things I could say about my experience with Selene. She was incredible with helping us find a great location, so kind during the whole shoot (my husband is very goofy), and she has an amazing eye for capturing those special moments. The whole shoot was so relaxed and my husband and I both enjoyed our time with Selene. We could not have asked for a better photographer for our couples shoot in Vicenza and are very much looking forward to our next one! Thank you so much for giving us wonderful memories for us to cherish forever! Met through word of mouth, selected after having seen her works on the internet, and chosen after five minutes talking with her. We loved Selene for her spontaneity, her freshness, and energy. She understood us immediately, and with her great professionalism, she got our idea of wedding straight away. Always discreet, never intrusive, but able to capture the most important moment of our day and save in her shots the emotions of a unique and wonderful day, making it eternal. Selene is such an amazing, professional and delightful photographer. Capturing wedding photographs throughout crowded Venice is no easy task but not only did she made it look simple, she got some of the best photographs I could ever ask for (and I’m very picky). She is also very personable. By the time the session was over, we felt as if we had been friends for ages. Now we are spoiled, we wish we could have her for every event. Selene wasn’t just a great photographer (we were delighted with the wedding photos) she was great company for the day and put us both at ease. I’ve seen some bad photographers over the years at UK weddings who made the day hard for everyone, Selene was the exact opposite. I’m not someone who likes being photographed but she made it very relaxed and a comfortable for me, my wife and all our guests throughout. Selene was AMAZING! My boyfriend and I were taking a day trip to Venice and he surprised me with a photographer. I had no idea he was planning a proposal and Selene was helping him organize it. The day of the shoot I was a mess. Traveling was exhausting and the last thing I wanted to do was take pictures. However Selene was amazing. She calmed me down and suggested a Spritz. She was so comforting that I forgot all about the pictures it was like hanging out with friends. She is not intrusive at all and makes the process so natural. When I received the video and pictures I was completely blown away! They are beyond anything I have ever dreamed of. They are natural and photojournalistic. I am so in love with them and her style! If it is possible I want her to shoot my wedding in the USA. She is that good!